Hello friends today we are going into recap because as of now numbers of SEO’s don’t know how to use Disavow tool. No doubts in that this is one and only tool which can remove Google’s Penguin Penalty. Reason behind the born of Disavow tool: Disavow tool was presented by Matt Cutts in mid of October 2012. It was lunched just after the 2nd edition of Google’s penguin update. Matt Cutts was cleared all things nicely in his article about how to use disavow tool to release your website from penguin penalty. Tips to use Disavow tool: What most people do with disavow tool they put their website’s low quality back-links directly in disavow list without try of remove back links from their end. Actually Google will give more importance to your disavow list only in that condition when first of all you will try to remove numbers of low quality links from your efforts. Who needs to use it: This tool is designed especially for those people who are facing Google’s penguin penalty on their websites. But for that they would need to follow each and every instruction before use disavow tool. Beside that you would need to put lots of patience about result like this tool will be deliver result in coming penguin update. 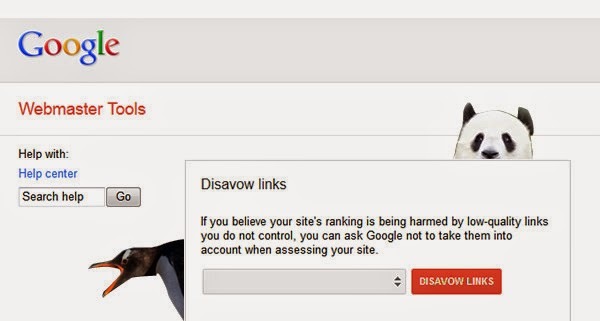 Myth of Disavow tool: Some webmasters were argue on that someone could use the disavow tool to harm your site, it is not possible on any how because for that he or she will need to access to your Google webmaster tool account to submit a disavow list of your behalf. Limit of back links in disavow list: Here you could add maximum 1000 domains in a single list which will be 2 M.B. in size. If you would like disavow numbers of links then may be your website’s problem is much serious and that could be not handle by the help of this tool. Alternative of Disavow tool: There is alternate is available of disavow tool but it’s too harsh to apply because if you wouldn’t like to remove any link of your website, then you would need to build new high quality back links which will take so much time to deliver result. Sometime this process could be proving harmful as well. If between this times period penguin will roll out again then your website could be caught again in penguin penalty which could be create much bigger problem than earlier. Ratio of Good/Bad back links: It is still a questionable how many high quality back links you should have to save your website from Google’s penguin penalty. It’s 50-50 and right now there is not solid answer for that. I had observed if a site have 80-20 ratio like if your site have 80% better links and other 20% are low quality like (keyword-rich directory links) then it could be also make perfect example of manual penalty. Conclusion: Now the one thing is clear if some tools have plus point then also they would have minus points. So now the best thing is that if you would like to not face conditions like that which will harm your website then you should try to make only high quality back links rather than quantity back links. Because now Google has more smart from last 3 years to control web spam.